Here at ”MAD” About Dachchunds we have been putting together lots of Dachshund themed gifts in our Mad About Dachshund Store and have found lots of lovely christmas present ideas for any dachshund lover. Here are the top 10 on our wish list…. 1. Dachshund Monopoly– what would be nicer than a family game of Dachshund – Opoly on Christmas day? I can see it now around the fire, a few mince pies and a family game of dachchund – opoly. The perfect christmas day. 2. 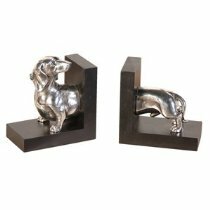 Dachshund Bookends – these would look perfect on any bookshelf. What a stunning pair of elegant bookends. 3. 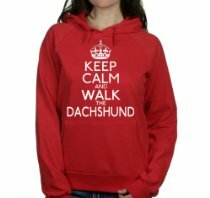 Keep Calm and Walk The Dachshund Top – a lovely dachshund top which would be ideal for when you walk your hounds. 4. 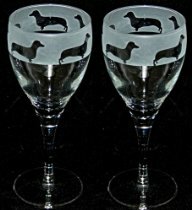 Dachshund Wine Glasses – now this would be nice for Christmas day – they would look lovely on any table and are perfect for a glass or two of wine or festive fizz. 5. 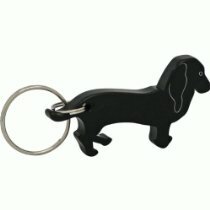 Dachshund Bottle Opener– now we don’t want the boys to feel left out here… what about a lovely dachshund bottle opener? 6. 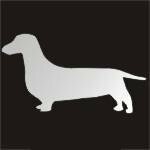 Dachshund Mirror – these fab dachshund mirrors would look fantastic in any bedroom. 7. Sausage Dog Apron– ok if you have to cook christmas day at least look the part…. 8. 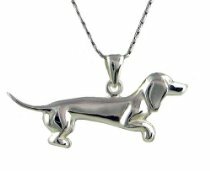 Dachshund Necklace – Spoil yourself or buy for a friend. These dachshund necklaces are gorgeous…. 9. 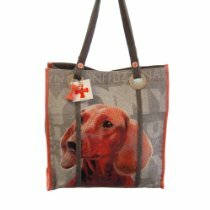 Dachshund Tote Bag – The perfect girly accessory for dachshund lovers! I need one, really I do …. 10. Dachshund Draft Excluder – it does get cold at christmas after all! There are many more dachshund items in our shop and we regularly add new items.